Biochemist and molecular biologist Spanish, later naturalized American, born in Luarca (Asturias) on September 24, 1905 and died in Madrid on November 1, 1993. It was Nobel Prize for Physiology and medicine in 1959, award shared with the biochemist Arthur kornberg, for their discoveries on the mechanism of the biological synthesis of ribonucleic acid (RNA) and deoxyribonucleic acid (DNA). Severo Ochoa began his studies in Malaga, city which moved with his family following the death of his father, in 1912. His interest in biology was stimulated in large part by the publications of the great Spanish neurologist Santiago Ramón y Cajal; Ochoa moved to Madrid and studied medicine which, at that time, were the best way out to its future prospects; He/She graduated in 1929 from the Complutense University of Madrid shortly after his doctorate degree, however, never practiced medicine; He/She said repeatedly he/she had not seen a sick since he/she left school. During his stay in Madrid, he/she lived at the Residencia de Estudiantes, which he/she joined in 1927, and there was buddy great intellectuals and artists of the era, such as García Lorca and Salvador Dalí. In the Madrid University, was Assistant Professor of Juan Negrín and were granted several scholarships to further their studies in the universities of Glasgow, Berlin and London, and mainly in Heidelberg, specifically at the Kaiser Wilhelm Institute for medical research; During this period he/she worked in the biochemistry and the physiology of the muscle, under the direction of Professor Otto Meyerhof, whose influence was instrumental in taking a perspective future scientific career. In 1931, already back in Madrid and in the same year of her marriage to Carmen García Cobián, he/she was appointed Assistant Professor of Physiology and biochemistry in the Faculty of medicine in Madrid, where he/she served until 1935. In 1932, he/she made the first important studies on Enzymology, at the National Institute for the medical research in London, and in 1935, he/she was invited by Professor Carlos Jiménez Díaz to assume the direction of the Department of Physiology of the Institute of medical research of the University City of Madrid. In 1936 the Spanish Civil War broke out and it favoured the departure of Severo Ochoa for more enabling environments for research. Thus, he/she came back to Germany and in that same year he/she was appointed research assistant at the lab Meyerhof in Heidelberg where he/she studied the enzymes of Glycolysis and fermentation steps. But not here lasted long, as the nazi invasion was soon to arrive and had to leave the country, since his boss was Jewish. In 1937 he/she moved to Plymouth and there investigated in the laboratory of marine biology and devoted himself to the study of the biological function of thiamine (vitamin B1) and other enzymatic aspects of oxidative metabolism in the laboratory of Rudolph Peters of the University of Oxford from 1938 until 1941. He emigrated to the United States in 1941, this time because of the outbreak of the second world war. He/She began his American career with a position in the Department of Pharmacology in the school of Medicine of of Washington University, in St. Louis, and there studied interesting enzimológicos with Carl Cori and Gerty Coriinvestigators. Later, in 1942, he/she went on to work at New York University, where he/she stayed for most of his life; There, and encouraged by his wife, embarked on a career of independent research, which would later give its fruits, while doing his work as a research associate in the Faculty of medicine. He/She was Assistant Professor of Biochemistry in 1945, Professor and Director of the Department of Pharmacology of the faculty from 1946 until 1954, and Professor of Biochemistry and head of the biochemistry Department from 1954 until his retirement. Although severe he/she was convinced of the benefits that would bring them the American nationality, left that it was his wife that took, later, decision to ask for citizenship, which was granted in 1956; but according to his own words he/she always considered it "a scientific, not political exile". Their experiments at this time about Pharmacology and biochemistry, especially in the field of enzymes, you were worth the Bewberg medal in 1951. It investigated the metabolism of the hydrates of carbon and fatty acids, and discovered a new enzyme that clarified the mechanism of oxidation of pyruvic acid (Krebs cycle); He/She also studied the role of vitamin B complex in these cycles and the process of CO2 fixation by green plants. But their main research focused on phosphates of high energy involved in biochemical reactions. 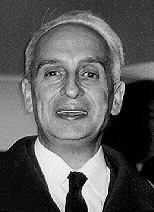 These were years in which biochemistry was experiencing a revolution at the molecular level; in 1953, J. Watson and F Crick had proposed a model in form of a double helix that explained the molecular structure of DNA (deoxyribonucleic acid) and in 1955 Severo Ochoa discovered and isolated an enzyme of a bacterial cell of Escherichia coli, which he/she called polynucleotide phosphorylase, and which was then known as RNA-polymerase, whose catalytic function is the synthesis of RNA (ribonucleic acid), the molecule required for protein synthesis. With this enzyme, Ochoa got the RNA synthesis in the laboratory, from a suitable substrate of nucleotides (its elementary components) for the first time. A year later, the American biochemist Arthur kornberg, disciple of Ochoa, showed that DNA synthesis requires also another enzyme polymerase, specific for this string. Both shared the Nobel Prize in Physiology or medicine 1959 for his discoveries. These extraordinary findings later allowed the deciphering of the genetic code (which was found it was universal for all living beings) and confirmed reproductive capacity of nucleic acids made that these were already considered as molecules of biological inheritance. 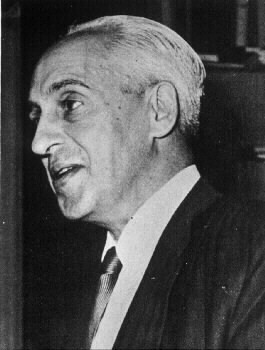 For this reason, the scientist Hermann Joseph Muller said that life was created artificially in the laboratory in 1955, in allusion to the experiment of Ochoa. Subsequently, given the biological importance of the double helix of DNA, Watson and Crick shared the Nobel Prize in Physiology or medicine in 1963. Severo Ochoa continued to investigate the molecular mechanism of the reading of the genetic message and its expression. In 1971 he/she was appointed Director of the laboratory of Molecular Biology of the Universidad Autónoma de Madrid. He/She left New York University in 1975, returned to their country of origin and in the Decade of 1980 led two research groups in biosynthesis of proteins simultaneously, one at the Instituto de Biología Molecular de Madrid and the other in the Roche Institute of Molecular Biology in New Jersey, in the United States, until in 1985 it settled permanently in Spain. Although he/she officially retired in 1975, never abandoned the research. Ochoa has distinctions of Doctor "Honoris Causa" from the universities of Saint Louis, in Washington, from Glasgow, Oxford, New York, of Salamanca, Santiago de Compostela and Brazil, among others. He/She is Honorary Professor of the University of San Marcos, Lima, and Peru. Awarded Neuberg Medal of Biochemistry in 1951, the Medal of the society of biological chemistry and the University of New York in 1959. He/She was a member of several societies and academies in the United States, Germany and other countries. He/She was also President of the Union International of biochemistry. In 1980 was awarded one of the highest distinctions in the United States, the National Medal of Science. Severo Ochoa during the inauguration of a sculpture of its bust. Birth, Severo Ochoa's Asturian was President of the jury of the Prince of Asturias Award of Sciences since its first edition in 1981. In 1982 he/she was awarded to prize Ramón y Cajal in his first call, the philosopher Javier Zubirishared with his friend. In February 1897 he/she was appointed President of the Board of Trustees of the Fundación Jiménez Díaz; the same year he/she entered the Royal Academy of medicine, and in 1992 at the Royal Academy of doctors. In April 1988, he/she was appointed Honorary President of the Association of former residents and friends of the Residencia de Estudiantes. His wife died in May 1986, and it was a very hard blow that plunged him into a kind of deep depression to severe. Since then, Ochoa decided not to return to publish any scientific work more, so completely put an end to his glittering career. Thereafter he/she devoted himself mainly to give lectures, attend the media and deal with students from the center of Molecular Biology of Madrid. In June 1993 he/she presented in Madrid his biography titled "The excitement of discovering", written by journalist Mariano Gómez-Santos, and in November of that same year died in Madrid, at the age of 88 years, a result of a pneumonia.